Back in August 2017 we recorded several incredible tracks that are featured on the new album from JUNGLE FOR EVER album, released on XL Recordings. Strings Arranged by Rosie Danvers, Performed by Wired Strings, Produced by Inflo and Recorded at Metropolis Studios, London. “Beat 54” marks the fifth offering from For Ever following “Happy Man,” “House in L.A.,” “Heavy, California” and “Cherry.” Jungle began writing and recording For Ever in Los Angeles, but finished the record in London with producer Inflo. 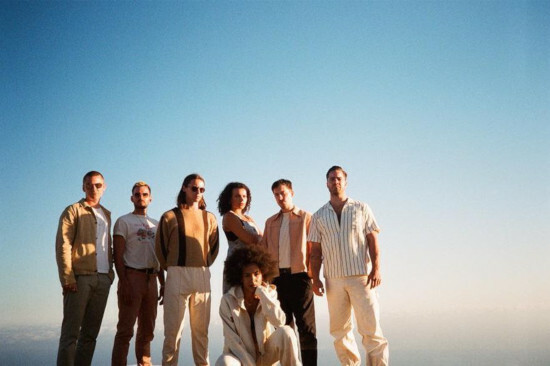 The band said their goal with the album was to create a “post-apocalyptic radio station playing breakup songs.” For Ever follows Jungle’s self-titled debut, which arrived in 2014. The track boasts a shuffling mid-tempo groove that anchors a cinematic blend of synths and strings that swim effortlessly beneath Jungle’s euphoric group vocals, led by the band’s core duo, Josh Lloyd-Watson and Tom McFarland, as well as singer Rudi Salmon. “And I never had enough for you,” they sing, “But you said someone/ Would come and replace me/ How can you replace me?